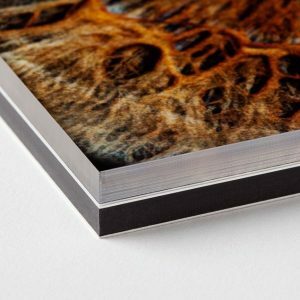 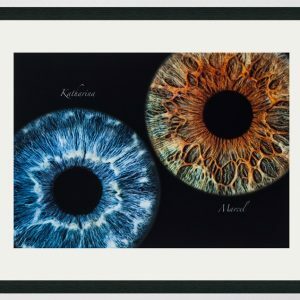 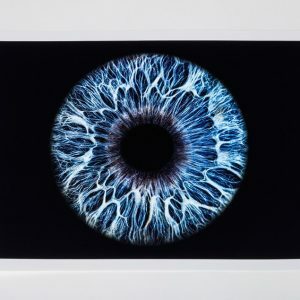 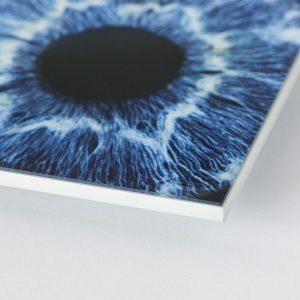 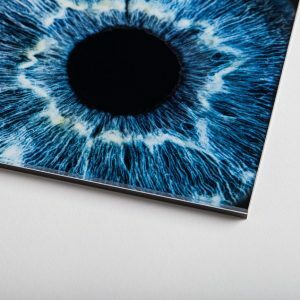 Your iris-photography is printed on glossy photopaper and brought onto a 3mm alu-dibond plate. Finally 2mm acrylic glass is mounted on top. 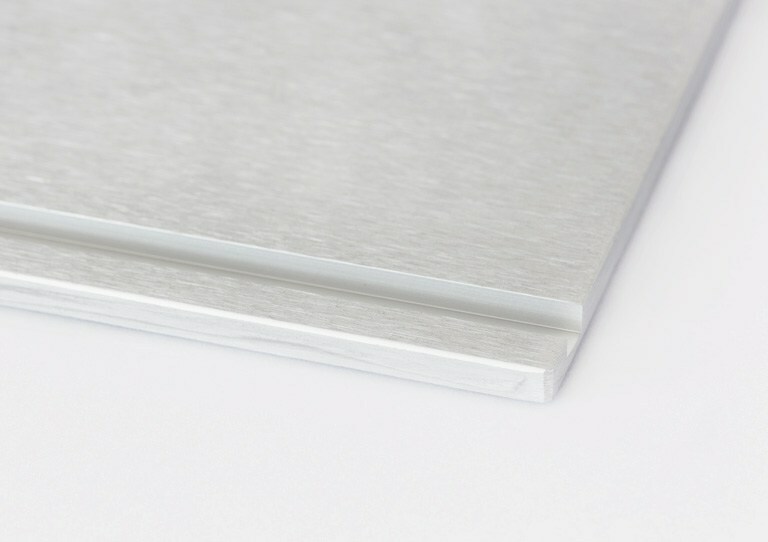 A foot made of brushed aluminium is included so your image is self staning. 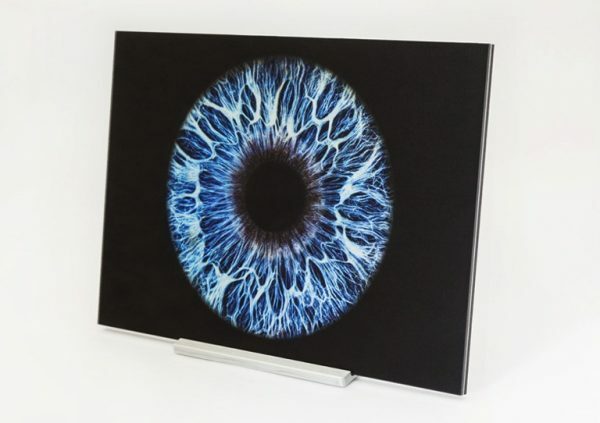 The acrylic glass creates a speical depth effect which brings off the structures of your iris. 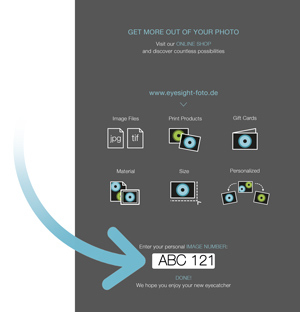 At the same time your iris photo is protected from dust and scratches.